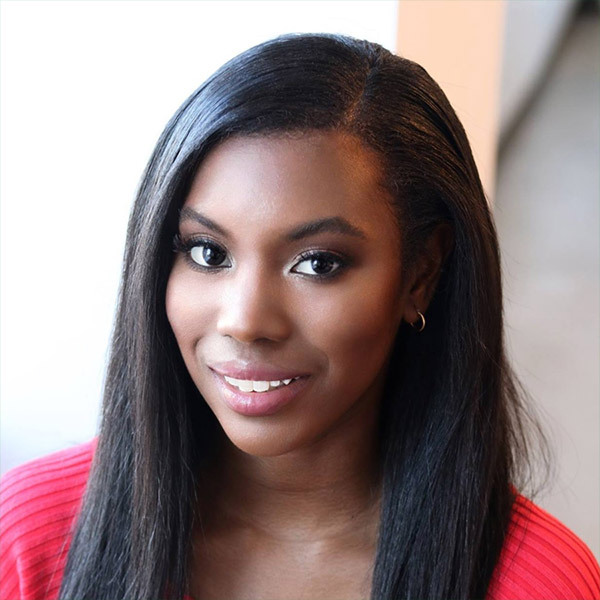 Born in the island of Trinidad and Tobago, Brooklyn raised Soprano Cherissia Williams is a recent Professional Studies & Master’s Degree graduate from Manhattan School of Music. This past summer she was in the chorus of The Martina Arroyo Foundation’s Prelude to Performance production of Carmen. Previous credits include Sister Constance in the Midwest Institute of Opera’s production of Dialogues of the Carmelites, Hansel und Gretel (Dew Fairy) with Manhattan School of Music, A Midsummer Night’s Dream (Peaseblossom) with the Westminster Choir College Opera Theater, Nine (Our Lady of the Spa) with the Westminster Players and The Gondoliers (Guilia) with the Fiorello H. LaGuardia H.S. Opera Workshop. Scene work includes Le nozze di Figaro (Contessa) with Opera Viva, Die Zauberflöte (Knabe 2), and Lakmé (Mallika) with the New York Summer Opera Scenes. Cherissia has performed as a soloist in major works such as Poulenc’s Gloria, Mendelssohn’s Elijah, and Dubois’ The Last Seven Words of Christ. In addition to singing, Cherissia is also a professional commercial and print model. She most recently starred in the national Verizon Holiday commercial along with her identical twin sister. Which received over 2 million views worldwide. Cherissia holds a Bachelor of Music degree in Voice Performance from Westminster Choir College.